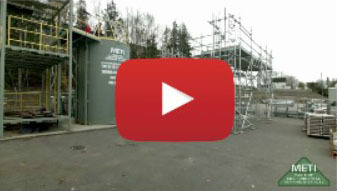 METI’s Aerial Lift Operator Safety Training – Boom Lift Training will prepare you to safely operate boom lifts in compliance with provincial and federal regulations. Our training gives you the most up to date industry standards for safe work procedures for boom lift operation. 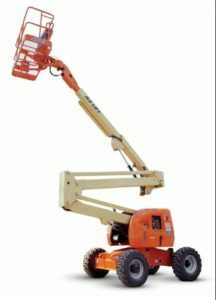 Many work sites, whether within processing, manufacturing, construction or oil and gas, require the ability to safely operate a boom lift. Become certified to use the boom lift with our Aerial Lift Operator Safety Training – Boom Lift Training. Our industry-experienced instructors will guide you through the theory of safe boom lift operation before they take you out to practice operating the equipment. Upon completion of this training, you will receive a wallet-size Ticket/Certificate that will show prospective employers that you have the right credentials. We keep your records on file permanently. Feel free to have your prospective employer contact METI to confirm your Aerial Lift Operator Safety Training – Boom Lift Training Certificate. Forklift Operator Safety Training Zoom Boom Training – Rough Terrain Telehandler Safety Training Aerial Lift Safety Training – Boom Lift And Scissor Lift Training Aerial Lift Operator Training – Scissor Lift Operator Safety Skid Steer Operator Training OSSA Elevated Work Platform Training Professional Driver Improvement Course – PDIC Training Defensive Driving Training Air Brakes Training Cargo Securement and Handling Training NSC Standard 10 Back to our Safety Training.